Programs like Weight Watchers and Jenny Craig are designed to help overweight and obese people shed extra pounds with the help of a support system — but a new study published in the American Journal of Public Health suggests that most obese people who don’t get some kind of weight loss surgery will never achieve a “normal” weight. The Centers for Disease Control classify a BMI of between 25 and 29.9 as “overweight,” anything above that as obese. Data for 76,704 obese men and 99,791 obese women from the United Kingdom were analyzed over the course of nine years, and researchers found that the annual probability of reaching a normal weight was just 1 in 210 for obese men and 1 in 124 for obese women (obese = 30.0–34.9 BMI). I read the above study on the LBN report this morning. It doesn’t surprise me that the study shows obese people will never reach normal weight without surgery. I got news for this report…Normal folks who need to shed pounds will not find lasting weight loss on diets either. 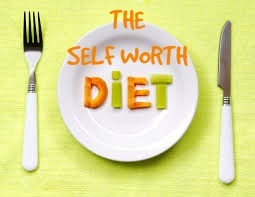 Diets are designed to fail so you will keep coming back and spend more money to lose the weight again. The obese are likely suffering from food addiction and the only solution to any addiction is a spiritual one…not surgery. The disease of addiction centers in the mind. It’s mostly about obsession. Surgery, diets, what have you, are only treating the symptom, not the disease. There are two problems here in my opinion 1) Doctors are not treating food addiction/obesity on a spiritual/recovery level and 2) the dieting industry is scamming people and harming them, physically. Seriously, everyone knows what happened to me but a friend of mine just got a parasite from a diet he was on! Let’s do a study or poll on how many people went on diets or had surgery to fix themselves but only ended up feeling worse because it didn’t solve their emotional/spiritual/addiction problem. And that is the Self Worth Diet’s opinion on that study. Getting Over Disappoinment In 12 Easy Steps!